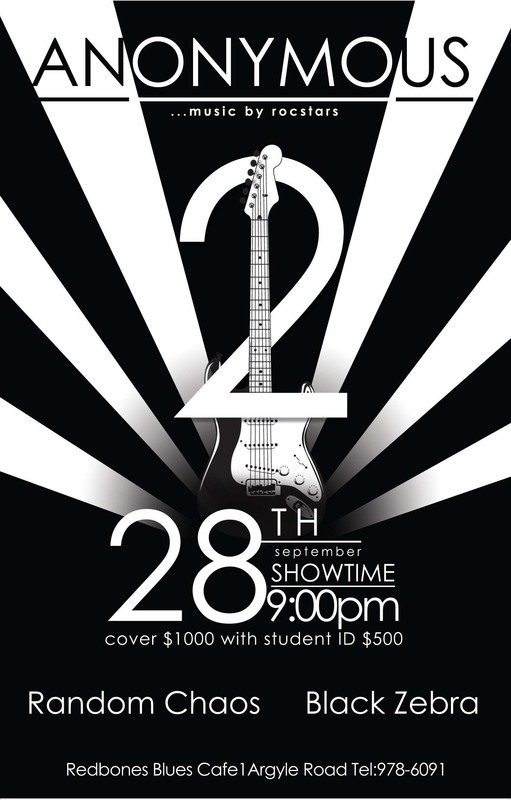 Don’t miss ANONYMOUS 2…..Music by Rockstars this Friday September 28 at 9:00pm at Redbones the Blues Cafe. BLACK ZEBRA and RANDOM CHAOS will be performing for the first time in a while! SEARCH OUR ARCHIVES FOR LOTS MORE ON RANDOM CHAOS AND BLACK ZEBRA!